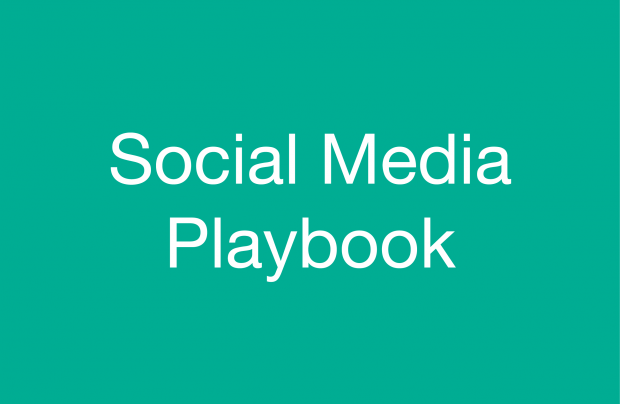 Just over a year ago GDS produced its first Social Media Playbook. This was designed to support community managers coming into GDS to help them learn how we do things and what best practice should look like. It has since become a valuable resource for government communicators, being referenced and repurposed in other publications and guidance. A lot has moved on in just 12 months. Not just across the different social media platforms, but also at GDS; in both the shape and leadership of the social media team. This naturally has had an impact on how we approach digital communications. The techniques we’ve adopted and the tools we use have changed. So we’ve updated the Playbook to represent what we’re doing now. You’ll see similar process and structure, but we’ve now gone into more detail on sections we know are important. We’ve built in the guidance you’ve (those of you working in government comms and beyond) asked us to include. We’ve added direct contacts should you want to speak to someone about, for example, digital monitoring. And we’ve tried to include as many relevant examples as possible to help illustrate our work. As with everything we publish, we do like hearing your feedback - it helps us to make future improvements. So please do get in touch using the comments box below or via Twitter. Plus, we’d love to hear about great examples of digital comms and social media activities which we know are being produced by departments and agencies every day - so again, please get in touch. It’s worth adding that this Playbook has not been designed to be a definitive guide to social media in government. We are simply sharing what we do and the practices we adopt and hope this will help others when they are shaping their social media activities. If you are looking for further resources and detailed guidance for civil servants using social media, visit the Government Communications Service website. Follow Georgina on Twitter, and don't forget to sign up for email alerts. What about people who aren't online? The <a href="https://gdsengagement.blog.gov.uk/playbook/#general-channel-hygiene">channel guides</a>linked to in this article are a really useful resouces. Thanks for some great tips on using these social media platforms.